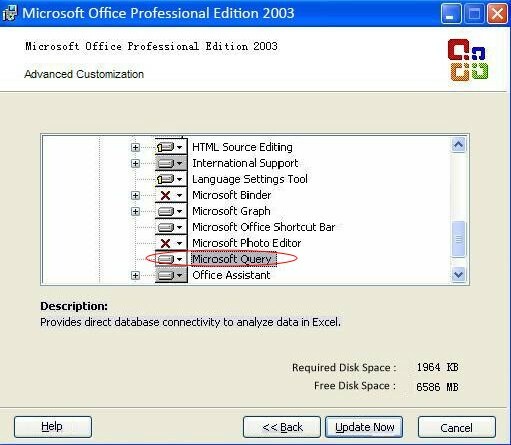 Before using any Microsoft Office applications, you must ensure that the Microsoft Query builder is installed. 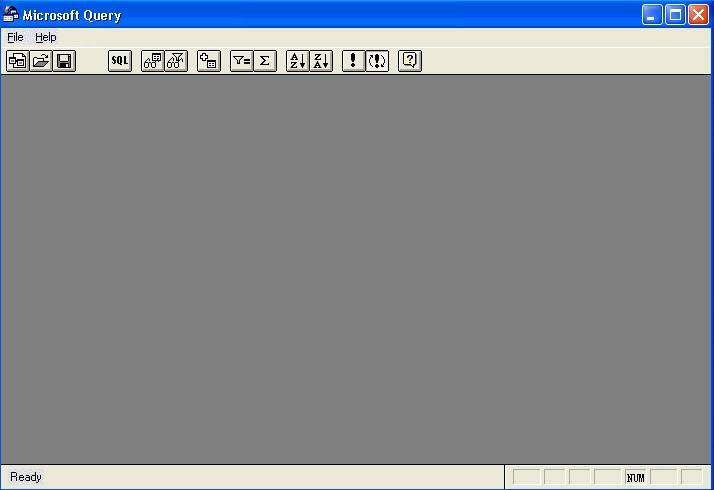 Click Start -> Control Panel -> Add or Remove Programs -> Change program Microsoft Office Professional Edition 2003/2007/2010/2013 -> Select Add or Delete Functions -> Check Choose advanced customization of application -> Check the options to select the items you want installed and uncheck the options to clear the items you do not want installed, be sure to check the Microsoft Query option. Click Update Now to install the components. Select the option File -> New, and you will see the following screen. 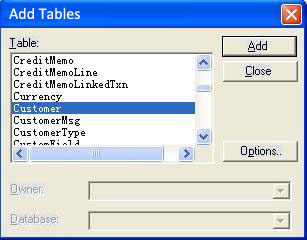 The Add Tables screen will then pop up, highlight the table you wish to query and the click Add and then Close. 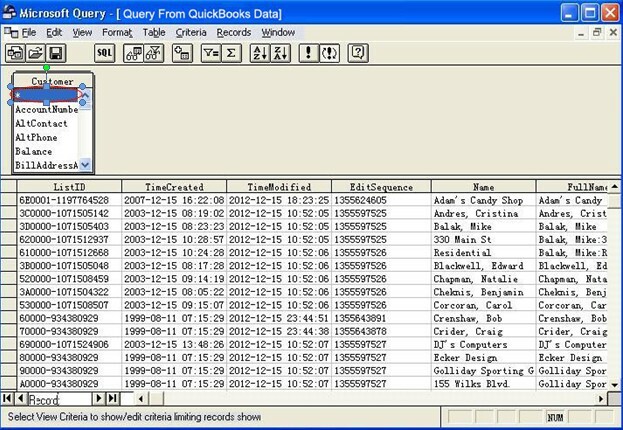 MS Query should now show the table selected and with a scrollable list of all the fields available. 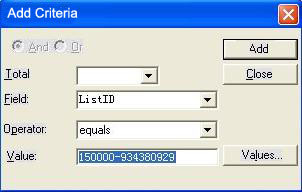 If you double click on the asterisk in the list of fields available, it will populate the table with all of the available fields and records of that table or select only the fields you are interested in. 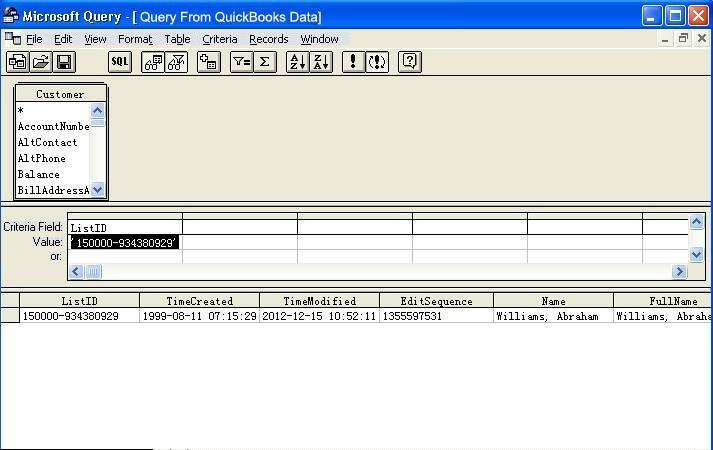 The returned recordset contains only 1 record meeting the applied criteria as shown above. Click on File -> Exit -> Save Changes / No to exit MS Query.